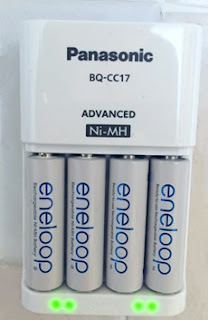 I've always been a fan of Panasonic batteries, having used their alkaline and photo lithium batteries in electronic devices for as long as I can remember, however, although I’ve seen the rave reviews of eneloop, I’ve never had a chance until now to personally to check them out. Hence, as soon as I got my hands on the Panasonic batteries I immediately began testing them out on my game controllers, and researching about what makes them so unique. The first pleasant surprise I discovered was that eneloop Ni-MH batteries are “ready to use” right out of the package. There’s no need to charge the batteries overnight, like I’m sure we’ve all done (grudgingly) before with other rechargeable batteries. With eneloop, you can pop them into your game controller right away and you’re good to go. This is a huge advantage because when you want to game, and even more so when have friends over for co-op couch multiplayer, the last thing you want to be doing is waiting for batteries to charge. As someone who cares about preserving our environment, I was also happy to learn that Panasonic uses a clean energy loop to pre-charge to eneloop batteries using solar energy. Not only do the rechargeable batteries themselves reduce waste, but you can also feel good knowing the pre-charge process is green. That’s great. 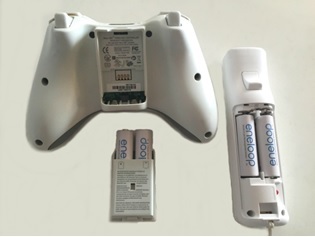 The first game controller I powered up with the eneloop batteries was my Xbox One Wireless Controller. I was thoroughly impressed with how long the charge lasted—over 24 hours of logged game time—before the batteries needed a recharge. I also didn’t experience any wireless signal or power loss over that time period, making it smooth, flawless game playing until the power was completely drained. With traditional Ni-MH batteries I’ve used, it’s been common to experience wireless controller disconnects after a few hours of game play, despite the batteries still having some juice left. We all know battery reliability is crucial to a fun gaming experience, and here, eneloop has a clear edge. I’ll be the first to admit it, sometimes I buy larger packs of rechargeable batteries than I currently need, and store the excess batteries for when I need them later on. What I’ve found though, is often times when you do have a use for extra rechargeable batteries (sometimes months or even years later), their charge is severely diminished or flat out gone. 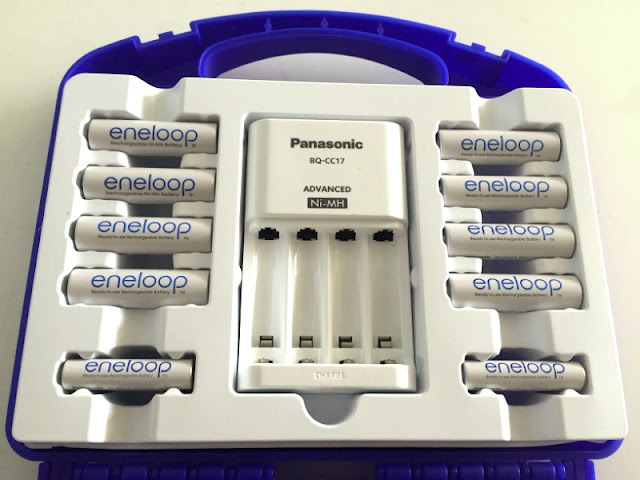 eneloop batteries solve this problem with their incredibly long storage life that maintains an 80% charge after 3 years when not in use, and an astounding 70% charge after 10 years. Simply put, even after a full decade of non-use, you can rest assured that your eneloop batteries will retain a healthy charge when it’s time to use. As a gamer, I couldn’t be happier—now I’ll never have to worry about my batteries in storage dying on me when I need them for my controllers. 1. eneloop batteries can be recharged up to a whopping 2100 times before they need to be recycled. Put into perspective, if I recharged my game controllers twice a week, I would only use 1040 charges after a full 10 years of use. 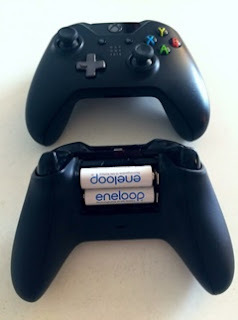 I’m now powering all my game controllers using eneloop batteries, and it’s great knowing they’ll last such an incredibly long period of time. 2. The charger is an intelligent device that designed to charge your eneloop batteries safely and efficiently. It can automatically recognize when the battery is fully charged, and shut off that particular battery cell so that no more charging occurs. Also, and this is amazing for gamers—the batteries can be recharged even when partially drained and there’s no “memory effect” at all. For me I couldn’t be happier with this. Now when I have family or friends over for a gaming night, I can fully and safely recharge all of my batteries the day before, no matter what their current battery charge is. 3. The eneloop battery charger gives you the freedom to completely charge 1-4 AA or AAA batteries in any combination, as each battery is recharged independently. So, if I had three AAAs and a single AA to recharge at once, that’s possible, as well as any other configuration you may need: two AAs and two AAAs, three AAs and one AAA, and so on. With other battery chargers I’ve used, I’ve had to charge batteries in pairs, which can be nuisance when you have an odd number of batteries that need powering up. No doubt about it, eneloop are the best rechargeable batteries I’ve tried yet. Keep in mind that while my testing focused on gaming peripherals, you can use eneloop batteries in virtually any device requiring AA or AAA batteries, including digital cameras, wireless keyboards and mice, toys, flashlights, portable radios, remote controls, and many more. In fact after telling my wife about these batteries, she’s already taken a bunch for her Apple Wireless Keyboard and Magic Mouse. Gamers need powerful, reliable, and long-lasting rechargeable batteries, and from my testing and research, eneloop satisfies all these needs.